Living in the Virginia Beach area, you depend on a reliable and efficient heating system. Our weather might be unpredictable, but you can count on some severely cold days and nights. To enjoy your home and protect your budget, let the professionals from 7 Services Inc. handle the installation, replacement, or retrofit of a modern, high-efficiency heating solution. 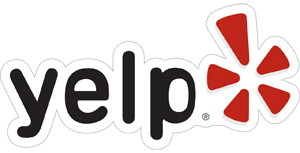 We offer the very best prices, and our NATE-certified team puts our extensive skills, experience, and sophisticated tools to work for you, properly sizing and installing the perfect system to answer your exact needs. Leave your heating system installation to a professional! 7 Services Inc. recognizes the impact of your investment on the enjoyment, usability, and safety of your home. We protect your best interests by handling every aspect of your project with the highest level of dedication. Beginning with your first phone call, and extending throughout preventative maintenance, you’ll benefit from personalized service, timely completion, and superior products. 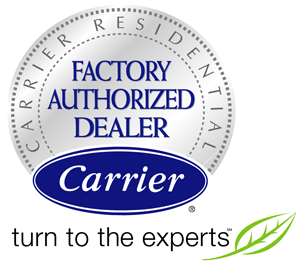 As a Carrier Factory Authorized Dealer, we consistently meet strict standards for technological know-how, customer loyalty, and business management. Our factory trained technicians are well-versed in a wide range of styles of equipment, taking the requirements of your specific household into careful consideration before making helpful recommendations. Whether you’re in the market for a furnace, heat pump, or ductless technology, precise sizing and installation are essential to performance and longevity. Know that our accomplished service team avoids energy-wasting and malfunction-causing mistakes, by taking the time and care necessary to complete the job properly. This is the perfect time to improve your comfort. Innovations in design and technology have elevated indoor environment control to new heights. Your preferences are no longer limited to temperature settings. You decide humidity levels, fan speed, air quality, and ventilation. These modern, intelligent systems have the capability to respond to inconstant conditions within the home, adjusting speeds to deliver just the right amount of heating while maintaining ideal efficiency. By keeping track of when you’re at home or away, the furnace or heat pump raises and lowers temperatures to both conserve energy and greet your arrival with comforting warmth. Adaptable speed technology allows near limitless possibilities of capacities, with one percent increments between 40% and 100%, making the absolute most of your energy dollar. When you want heating system installation service you can rely on, contact 7 Services Inc.! 7 Services Inc. offers free estimates on replacement systems. We service Virginia Beach and the entire surrounding areas of Chesapeake, Virginia Beach, Norfolk, Portsmouth, VA. Our mission is to serve all of your heating and cooling requirements, and make sure (757) 965-9592 is the only number you ever need to stay completely comfortable. Our team of proficient technicians work to a higher standard, earning your satisfaction through timely, accurate, and affordable solutions to the most difficult heating challenges. Contact 7 Services Inc. and know that superior quality work adds up to rewarding results. For more information about Heating System Installation Va Beach call 7 Services today! What does it mean to be Carrier Factory Authorized?